The ninth episode of this season’s Rochester Indie Musician Spotlight series features guitarist Mark Grover. 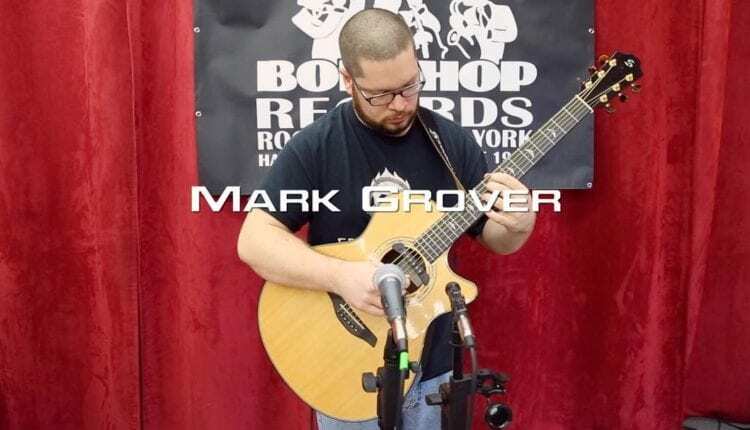 In this session, Grover talks with producer and host Dan Gross about what drew him to playing this style of guitar and his process for writing and transcribing the works of others for playing finger style. After the interview, he plays a selection of songs, including renditions of “Isn’t She Lovely” and “Higher Ground,” arranged by Grover and Eric Roche. This episode of Rochester Indie Musician Spotlight is directed, edited and hosted by Dan Gross. Sound, camera and production were also done by Gross. Josh Pettinger of Wicked Squid Studios mixed the audio. This season is made possible by Bop Shop Records, Rowe Photographic Video and Audio, Bernunzio Uptown Music, Sound Source, Joe Bean Coffee Roasters, Three Heads Brewing, Wicked Squid Studios, and patrons who contributed to the Season 5 indiegogo campaign.